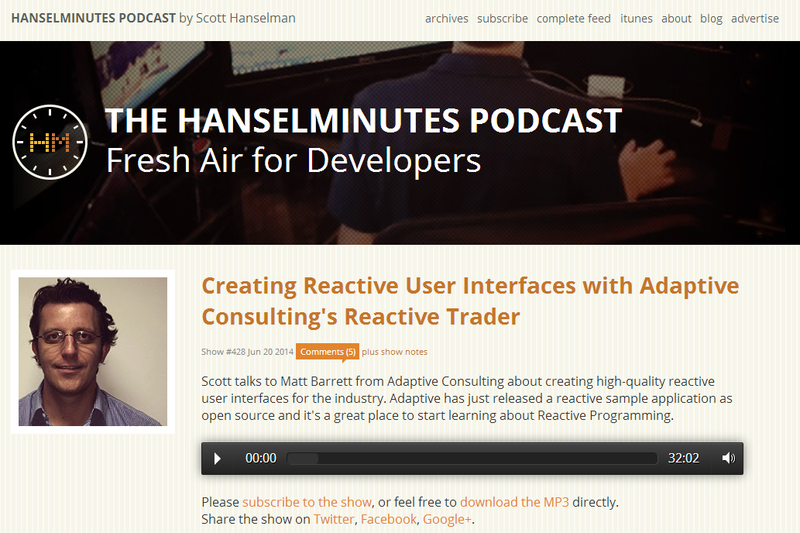 I was listening to the Hanselminutes podcast the other day and the epsidoe featured an interview with a developer in the financial industry. They're making real-time interfaces and they posted a showcase project on github to demo the features. You can use reactive extensions to treat configuration changes as streams. This allows you to easily push config changes to clients and trigger the re-configuration on their systems. They're pushing out data as JSON right now, but in order to use less bandwidth, they'll move to binary JSON. Furthermore, they're going to push out delta values as in order to save even more bandwidth. Using Reactive extensions on a stream of stock information is incredibly powerful.